Posted by Megan in Book List, Non-Fiction. Like I mentioned over the weekend, October is jam-packed with fun happenings! It’s only fitting that the month that hosts Halloween is also Bat Appreciation Month. Sadly, I think the whole Halloween-bat connection has given these furry fliers a bad rap. I think we owe it to these mysterious creatures to learn the truth! What better place to start you investigation that at your local library? We have some stunning bat books in our collection. Bats by Phil Richardson is the newest addition to our collection. 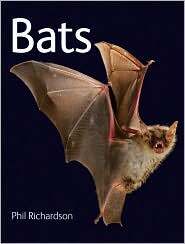 It’s full of amazing photographs and facts about bats, including a section on the much maligned vampire bats. A quick glance through the book taught me that the saying “blind as a bat” is inaccurate. Bats actually have good eyesight, especially in the dark. You want to know more now, don’t you? 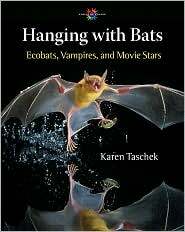 Hanging with Bats by Karen Taschek has such an awesome cover, how can you resist? But wait, if we are judging books by their covers, how would you choose between Hanging with Bats and The Bat: Wings in the Night Sky by Brock Fenton? Who says you have to choose? Take them both! Stellaluna by Janell Cannon is an award-winning picture book starring an adorable little fruit bat being raised by birds. 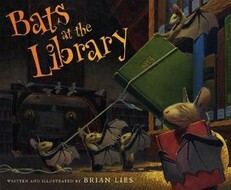 Bats at the Library by Brian Lies. This gorgeous picture book takes readers back to the library at night when all the cute bats come in and read books. Cool librarians leaving the window open for clever bats-what’s not to love? Through the course of writing this post I have gained a new appreciation for the bat, mission accomplished October! I may even be batty for bats now. One last note. I feel that it is my duty to warn you all that this Saturday in World Zombie Day. Stay tuned to Read It or Weep for Zombie survival tips, book and movie recommendations and more.